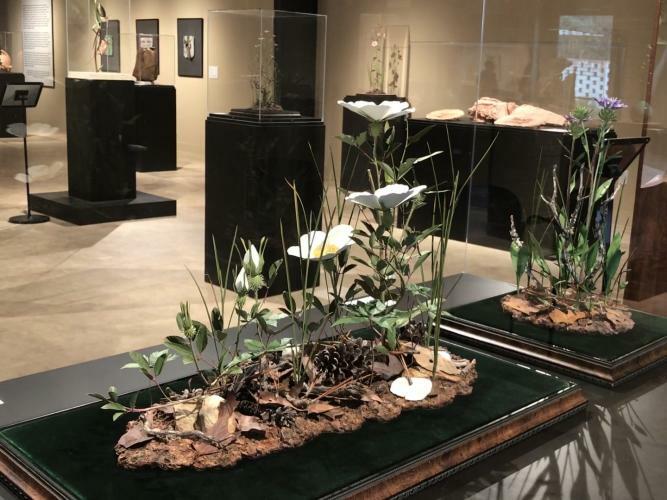 An amazing exhibit of 18 native wildflowers in sculpture is on view in the Stanley and Naomi Bleifeld Gallery through April 22, 2018. New Orleans native Trailer McQuilkin uses sheet copper, copper wire, metal primer, oil paints, and natural materials in his work. His techniques include cutting, soldering, incising, and painting. Each step is performed with precise attention to detail and each sculpture has special challenges. It takes from two to five months to complete each piece. Careful examination of the finished sculptures reveals that his work is faithful to nature by documenting color variations, textures, and even weather and insect damage.